I’m delighted that my books have popped up on two fabulous prize shortlists! First up is the Independent Bookshop Week 2017 Children’s Book Award. 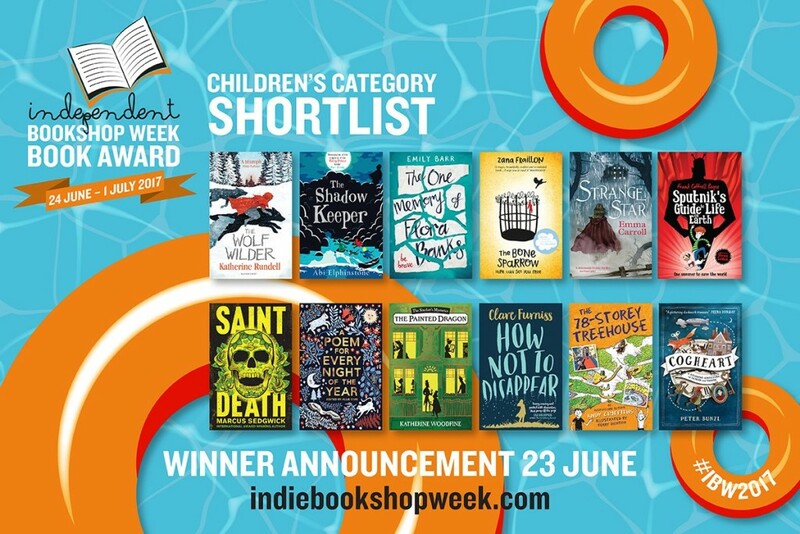 I’m so excited that The Painted Dragon has been shortlisted for this award, alongside a host of wonderful children’s books (see above) – thank you so much booksellers and judges! 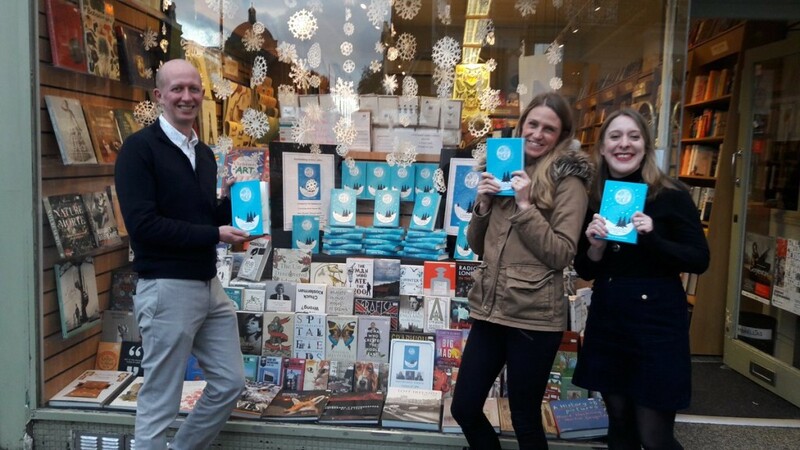 There are two other award categories – one for an adult book, and one for a children’s picture book – and you can check out all the shortlists on the Independent Bookshop Week website here. The winners of all three categories will be announced on 23 June, just before this year’s Independent Bookshop Week kicks off. Secondly, I’m thrilled that The Mystery of the Jewelled Moth has been shortlisted for CrimeFest’s Gala Awards 2017. This is the first year that CrimeFest have had a children’s category to their awards, and the prize will recognise the contribution novels for children make to the crime genre – hurrah! A new YA crime category has been introduced too, and there are lots of my favourites on both lists. The winners will be announced at a dinner in May: find out more about CrimeFest and their awards here. 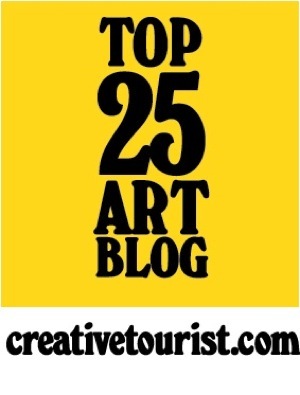 Thank you so much to the judges for selecting Jewelled Moth for the shortlist! I wrote the original version of this post when The Jewelled Moth was first published, for the fab YA Yeah Yeah’s ‘Classics’ series. Since a few people have asked recently about the relationship between The Jewelled Moth and The Moonstone, I thought I’d put a few thoughts here too! 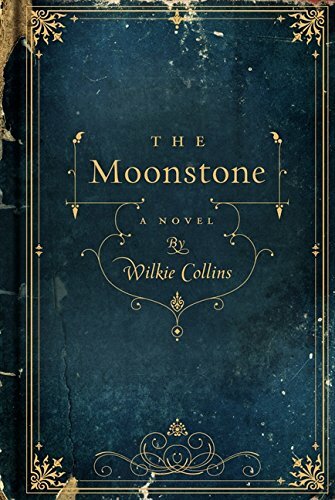 The Moonstone by Wilkie Collins, published in 1868, is often considered to be the first real detective novel written in English. It’s a captivating read – the story of a mysterious (perhaps cursed) diamond stolen from an English country house in strange circumstances. 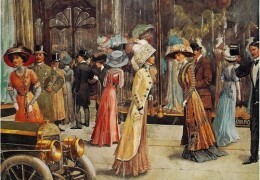 Crime writer Dorothy Sayers called it ‘probably the finest detective story ever written’ and TS Eliot went as far as to say that the detective genre was ‘invented’ by Wilkie Collins. It’s inspired many crime writers including PD James, and it features a lot of the elements that we expect from a classic detective tale – from the English country house setting, to its world-weary detective Sergeant Cuff, to its exciting, twisty plot. 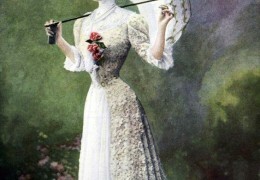 However, whilst it might be a thrilling read, The Moonstone is also very much a product of its times. At the very start of the story, against the backdrop of the Sepoy Rebellion of 1857, a British soldier steals a priceless diamond – the Moonstone – from an Indian temple. A few years later, he leaves the diamond to his niece, Miss Rachel Verinder as a gift for her eighteenth birthday. But as soon as the Moonstone arrives at her country home, Rachel, her family, and their guests all become aware of the threatening presence of a group of Indians on the trail of their long-lost jewel, who (we are told) will stop at nothing to get their sacred diamond back. 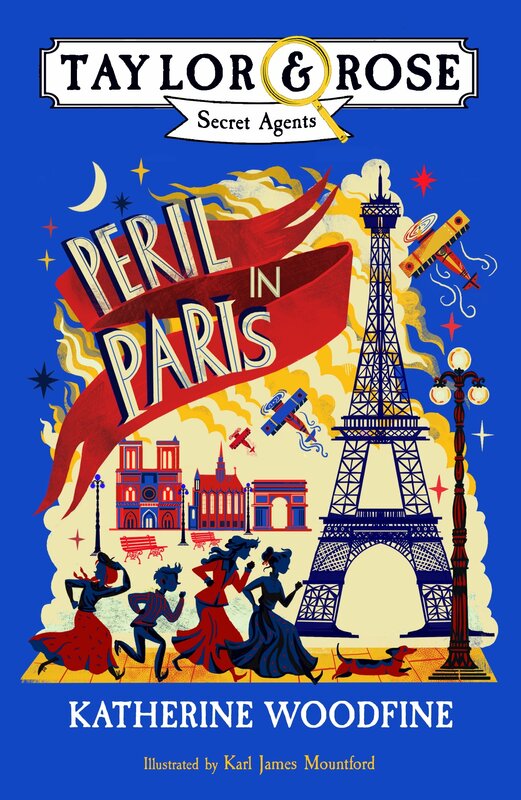 Over the course of the story, the diamond is stolen; a famous detective is called in to solve the case and return Miss Verinder’s diamond; and a whole cast of characters find themselves drawn into the mystery. Yet no one ever seems to point out the obvious: that the British soldier was the original thief, and it is in fact the Indians and not Miss Verinder who are the true owners of the Moonstone. One of the things I love about The Moonstone is that it’s told in a range of different voices – from that of the Verinder’s old and trusted servant, Gabriel Betteredge, to evangelical busybody Miss Clack. However, the Indian characters are never allowed to relate their versions of events: they appear only through the narratives of the white British characters who encounter them. They have no names, they never speak for themselves, and we know little about them – we are only told they are mystical and exotic, as well as potentially sinister and dangerous. Spoiler alert (highlight to read! ): although the Indians do eventually reclaim their diamond, and return it home for a contemporary reader, the imperialistic overtones of the story are impossible to miss. With The Jewelled Moth, I wanted to have a go at writing my own tribute to The Moonstone – putting a different spin on this classic story. But as well as having fun writing about my own mysterious cursed jewel, I wanted to explore what the story might be like if it was told from a different point of view. How would it feel to have your most important and valuable possession stolen from you – and what might happen if you had the opportunity to try and get it back? 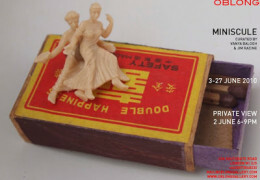 That’s exactly the position of Mei Lim in The Jewelled Moth. Mei has grown up in her family grocer’s shop in London’s Edwardian Chinatown, hearing her Chinese grandfather’s old tales of the Moonbeam Diamond – a precious gem that was once the pride of the temple in the village in China where he grew up. The diamond brought the Lim family prosperity and luck, until it was stolen by a visitor to their village – a treacherous British gentleman. Years later, her family believe the diamond is long gone, but when Mei spots a picture of an elegant young society girl wearing it in a London newspaper, she knows she must seize this chance to try and return it to its rightful home. Even though it’s a very different story, which explores some very different elements of history, I had a lot of fun paying tribute to The Moonstone in The Jewelled Moth. If you’re a fan of classic detective fiction, you might spot one or two of those references and hints (and for those who have asked whether new store manager Mr Betteredge is named after Gabriel Betteredge – he absolutely is!) 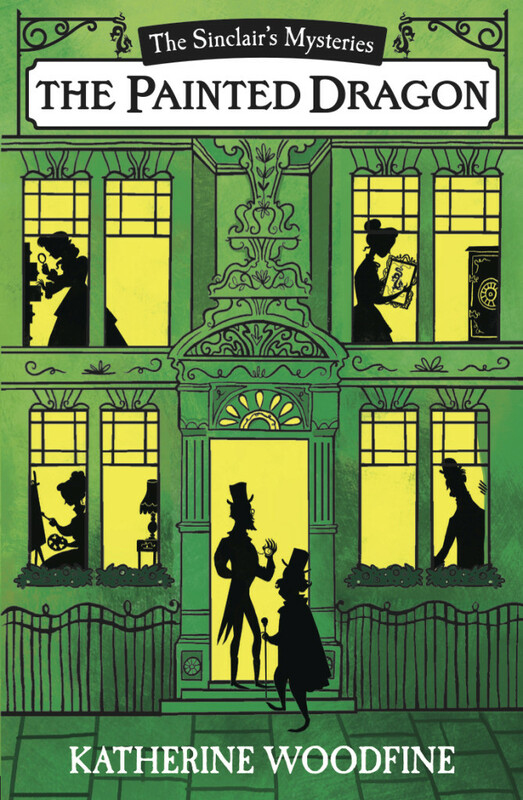 I’ve joked that the book could be described as ‘The Moonstone for kids’ but as well as being an exciting detective tale that I hope will keep readers turning the pages, it’s also an attempt to tell a different kind of detective story – and to hear from some of the voices that are so often missing from Victorian and Edwardian literature. 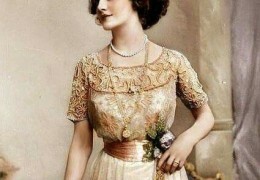 Read more about The Jewelled Moth and the historical inspirations for the book. 2016 has been such busy year! Whilst it’s been a strange (and depressing) one in many ways, for me personally, it’s been a very positive time. 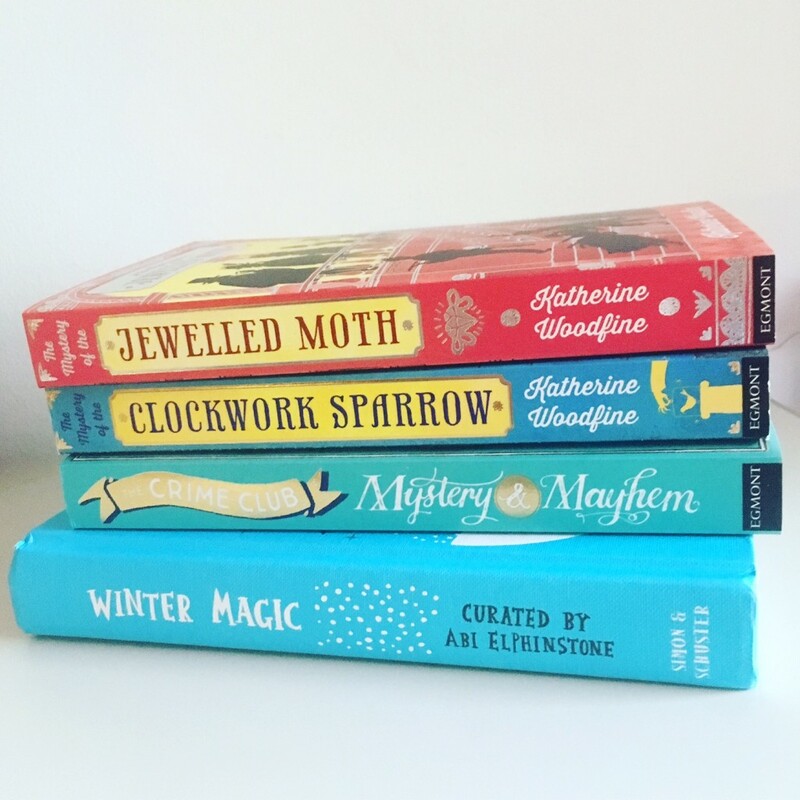 I’ll always remember it as the year that my second book The Mystery of the Jewelled Moth was published – and that the pile of my books (see above) grew from one to four! It’s been a great year for collaboration. I’ve been lucky enough to be included in two amazing short story anthologies, alongside lots of other authors whose writing I hugely admire. I love feeling part of a community of children’s writers, so it was such a treat to be part of Mystery & Mayhem and Winter Magic. I’m relatively new to short stories and I do find them challenging – but I really enjoyed writing Lil’s solo story ‘The Mystery of the Purloined Pearls’ for Mystery & Mayhem. I also loved writing ‘Casse-Noisette’ for Winter Magic, which is set in 1890s St Petersburg and focuses on the first ever production of The Nutcracker ballet. This is the first story I’ve had published that’s set outside the world of the Sinclair’s Mysteries, and it’s been great to hear so many enthusiastic responses from readers. 2016 was also the year that both Clockwork Sparrow and Jewelled Moth were published in the USA by publishers Kane Miller, which is so exciting! What’s more, this year Clockwork Sparrow was published as an audiobook, read by the wonderful Jessica Preddy! 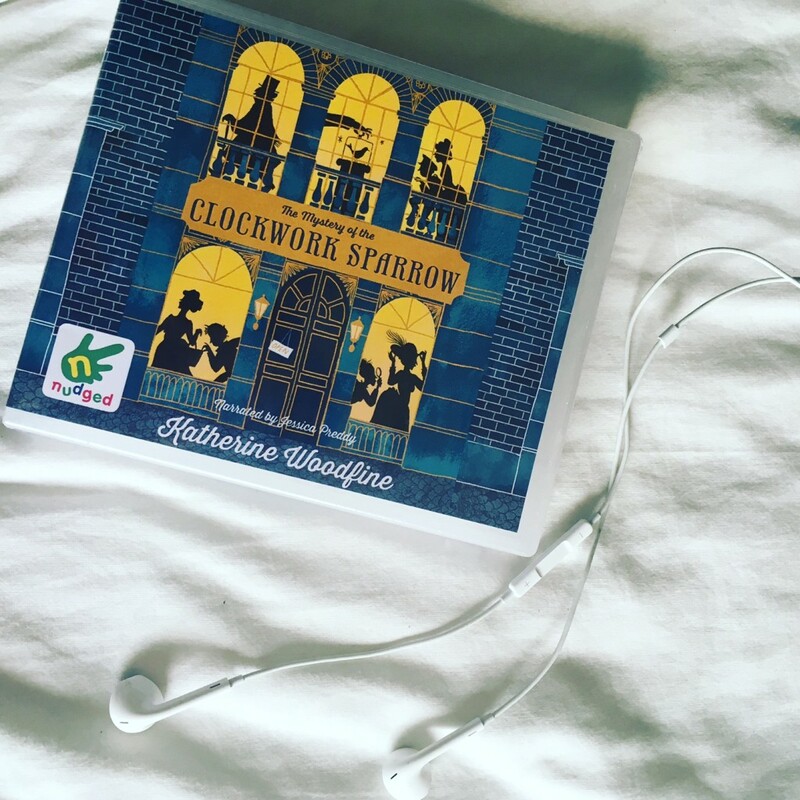 I love audiobooks and I’m thrilled that Clockwork Sparrow exists in audio form – look out for the Jewelled Moth audiobook coming out in January 2017. I’ve been very busy with lots more writing this year, including working on Books 3 and 4 of the Sinclair’s Mysteries series – book 3, The Painted Dragon is coming out on 9th February. The cover has had a little tweak since the first reveal, but it looks as shiny and beautiful as ever in all its green glory. I love Karl James Mountford’s stunning artwork, and I think it might be my favourite cover yet. You can preorder the new book here. I’ve also been working on a couple of exciting new writing projects – more news on those coming very soon! 2016 has also been a very busy year for events. I’ve done over 40 author events this year, including the Hay Festival, the Edinburgh International Book Festival, the Bath Children’s Literature Festival, the Cheltenham Literature Festival to the Children’s Books Ireland conference. Amongst other things, I’ve visited schools and festivals all around the country, led some fun creative writing workshops as part of The Mousetrap’s ‘Mystery Solved’ project, and taken part in two great panel events at Waterstones Piccadilly. 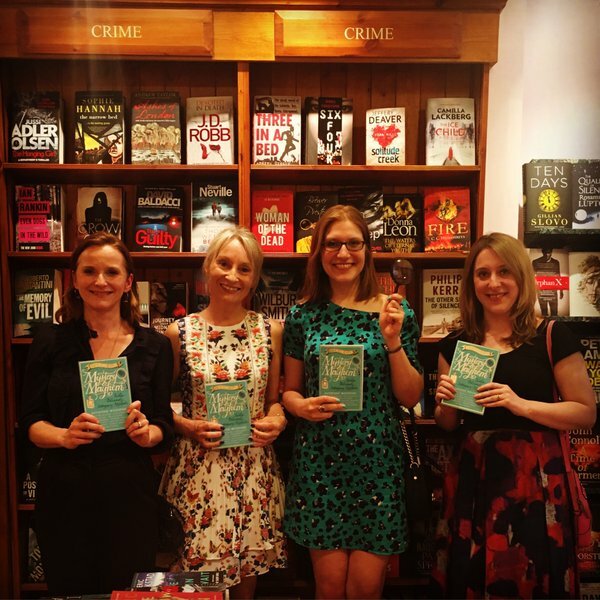 One particularly special moment of 2016 was attending the Waterstones Children’s Book Prize ceremony at Piccadilly when Clockwork Sparrow was on the Younger Fiction shortlist. 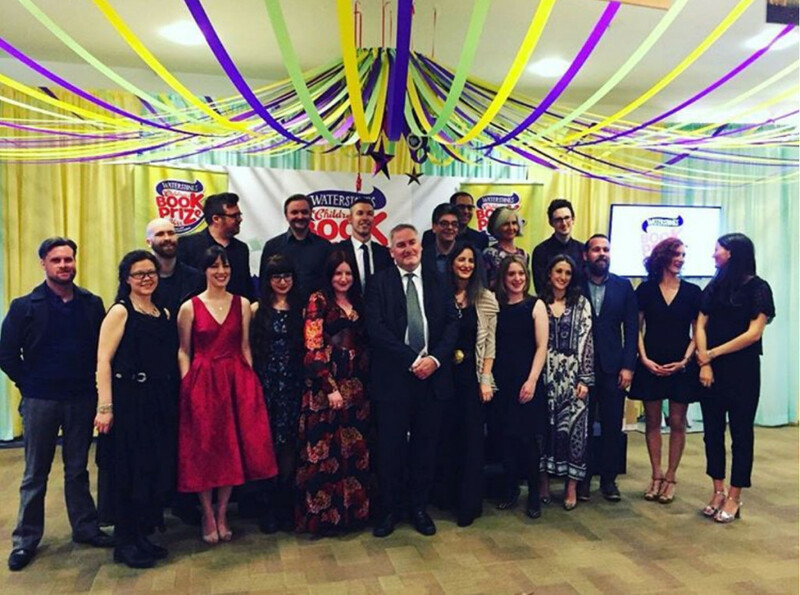 I’ve been lucky enough to attend the prize for a number of years as a guest, so being there as a shortlisted author alongside so many amazing children’s writers and illustrators was really special. Clockwork Sparrow didn’t win (that honour went to the lovely David Solomons for his My Brother is a Superhero, who also scooped the overall prize) but celebrating with so many friends and colleagues is something I’ll always remember. 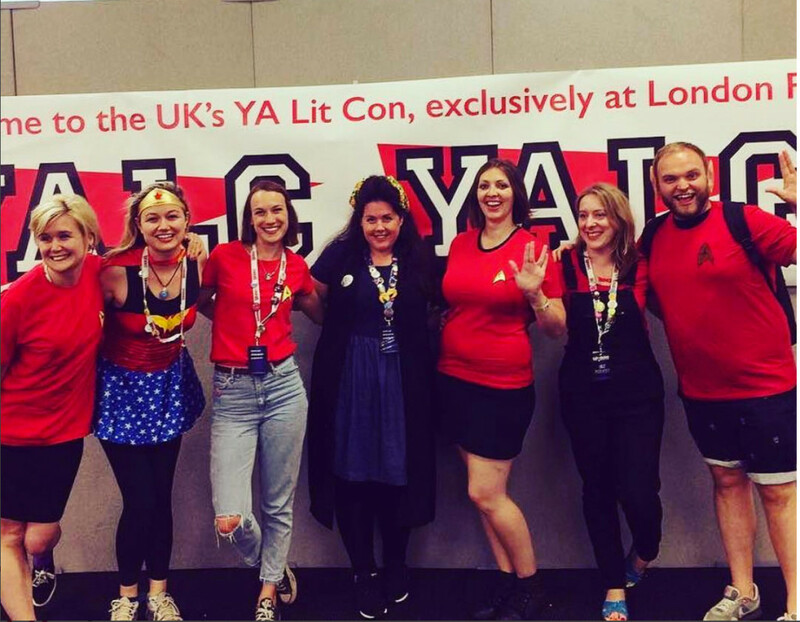 As well as a fantastic YALC, 2016 was also the year that we launched the YA Salon! I’ve teamed up with the brilliant Anna James and Rosi Crawley to launch this fun evening event for adults who love YA books. We kicked things off with our first salon with legendary Baby-Sitter’s Club author Ann M Martin, who was joined by Laura Dockrill and Holly Bourne, for a special event for London Book & Screen Week. 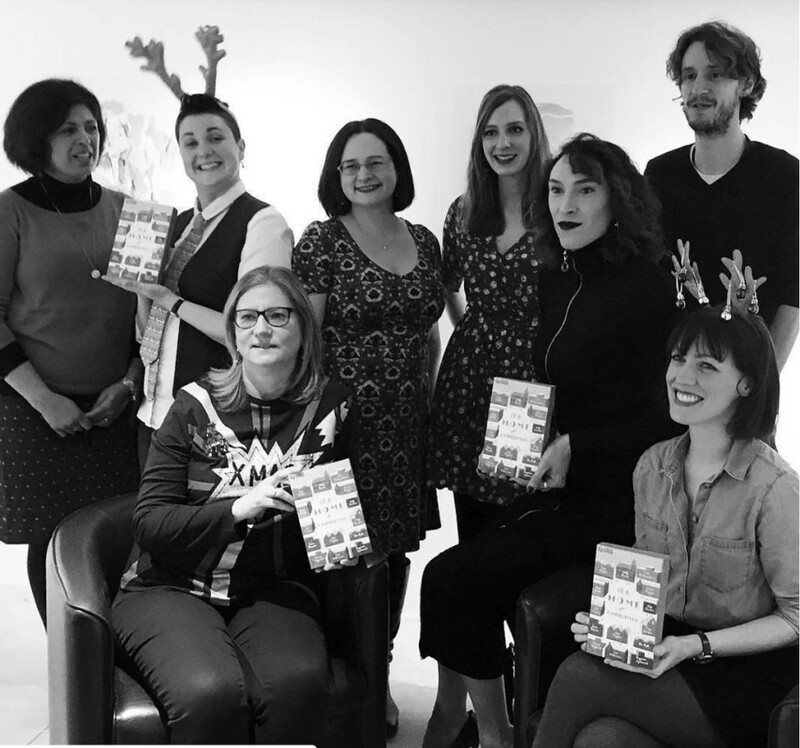 We’ve since organised a Christmas themed YA Salon to celebrate Stripes’ new anthology I’ll Be Home for Christmas with a host of fabulous YA authors taking part. Children’s books radio show Down the Rabbit Hole has gone from strength to strength this year. 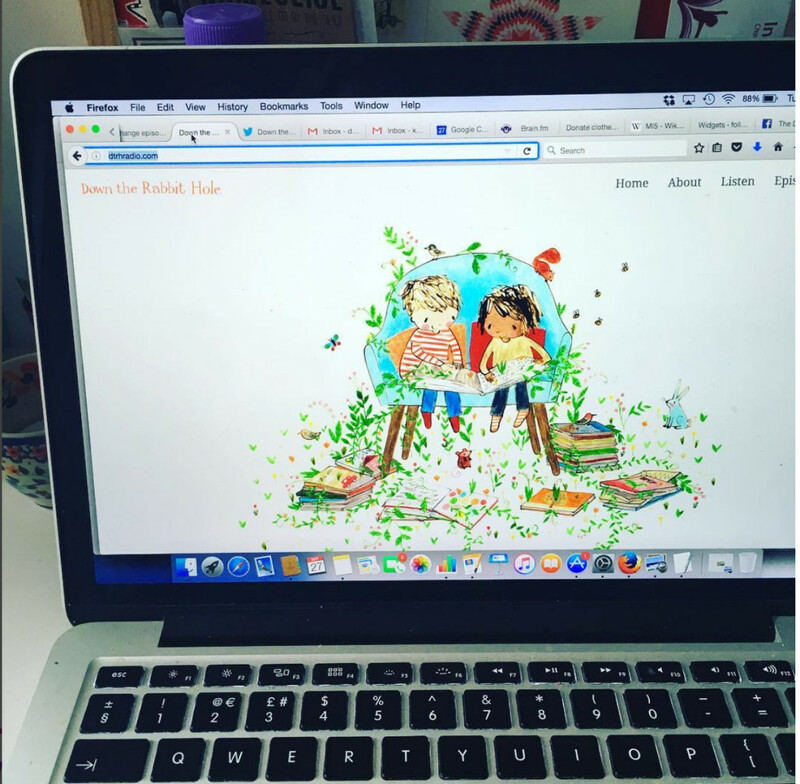 Louise, Melissa and I have launched our new website with gorgeous artwork from Rebecca Cobb, introduced a brand new e-newsletter and made the show available as a podcast via iTunes. Of course we’ve also broadcast twelve shows featuring amazing guests including the likes of Clare Balding. Check out our Christmas special here. I also launched my Youtube channel this year. I still have lots to learn about how to make videos, but it’s been really fun trying it out and having a go! 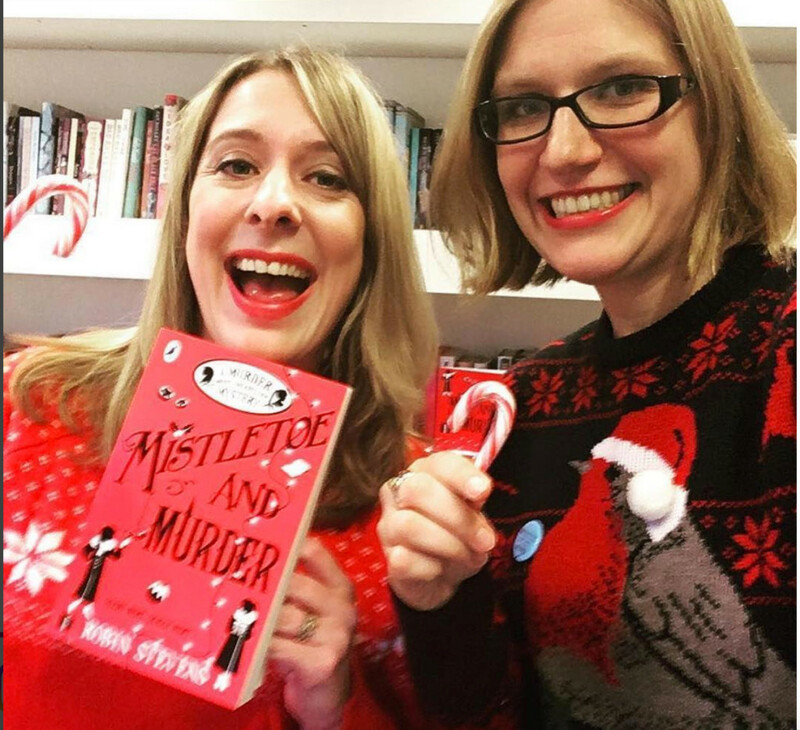 If you want to see how I get on, do subscribe to my channel, and check out some videos – some of my favourites include a top 5 new middle grade books, an interview with fellow Mystery Girl Robin Stevens about her new book Mistletoe and Murder, and a fun festive Q&A with the lovely Abi Elphinstone. 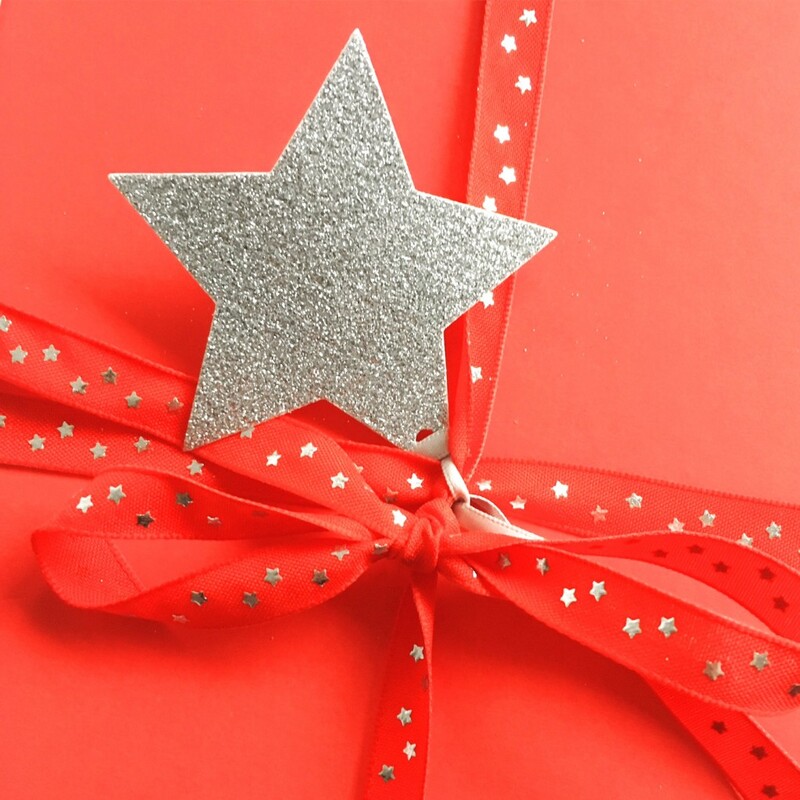 I’ve been lucky to be involved in lots more fantastic book-related projects this year, including being a judge for both the Bookseller YA Prize, and Stripes’ competition to find a new writer for the I’ll be Home for Christmas anthology, which was a real privilege. It’s also been lovely to help celebrate the launch of many great new children’s books this year – and even to blurb a few of them! 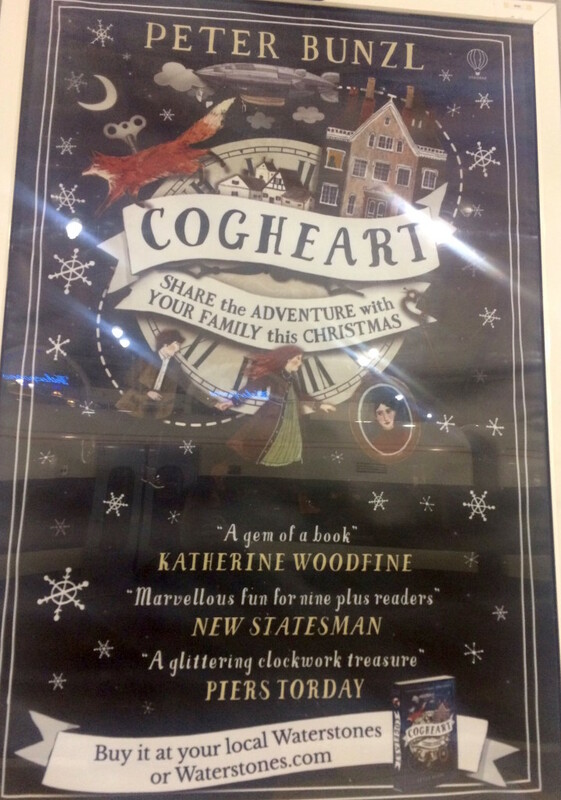 In particular, I’ve loved seeing the spectacular success of MG Leonard’s brilliant debut Beetle Boy, and more recently Peter Bunzl’s amazing debut Cogheart – it’s been pretty cool seeing my name on posters in railway stations around the country! 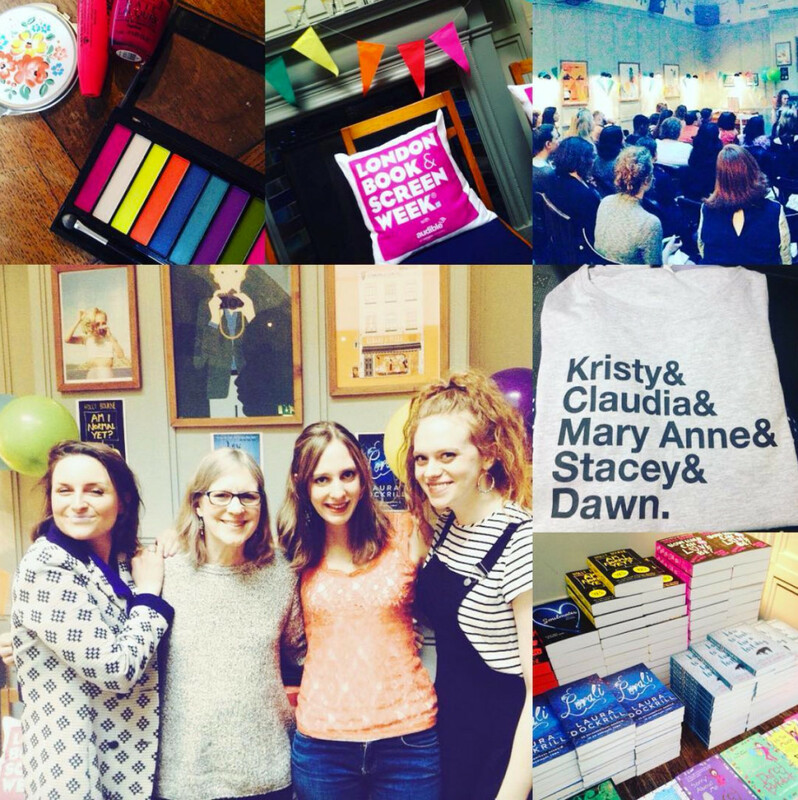 On a personal note, 2016 has also been a lovely year for me, with highlights including a visit to Sweden, a relaxing post-YALC summer break in Rye, and a September trip to Paris. Follow me on Instagram if you’d like to see lots more pictures of what I get up to. Heartfelt thanks to everyone who has supported me this year! I’m so appreciative of all those who have read, reviewed, bought or shared my books, come along to an event, or followed along here. I’m so grateful and feel incredibly lucky that I get to do this. Now bring on 2017! 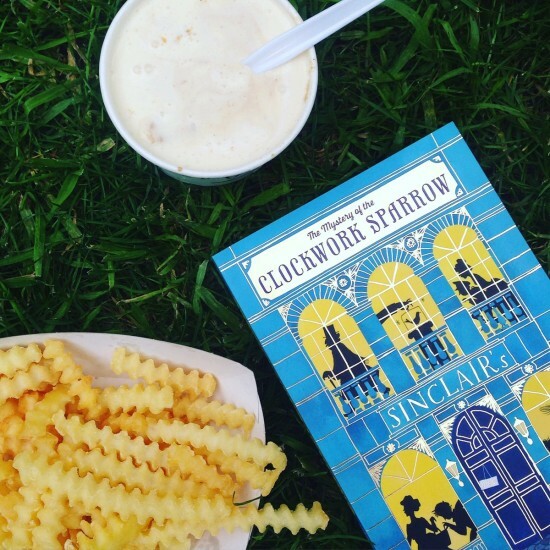 If you’ve been reading my blog for a while, you might remember that last Christmas I ran a festive competition to win a signed copy of The Mystery of the Clockwork Sparrow, plus a box of lovely goodies worthy of Sinclair’s department store itself! I asked people to tell me what they’d buy from Sinclair’s, and had some lovely entries including those from the joint winners, who sent beautiful illustrations of their ideas. Well guess what? The competition was so much fun last year that I’m running it again this year! 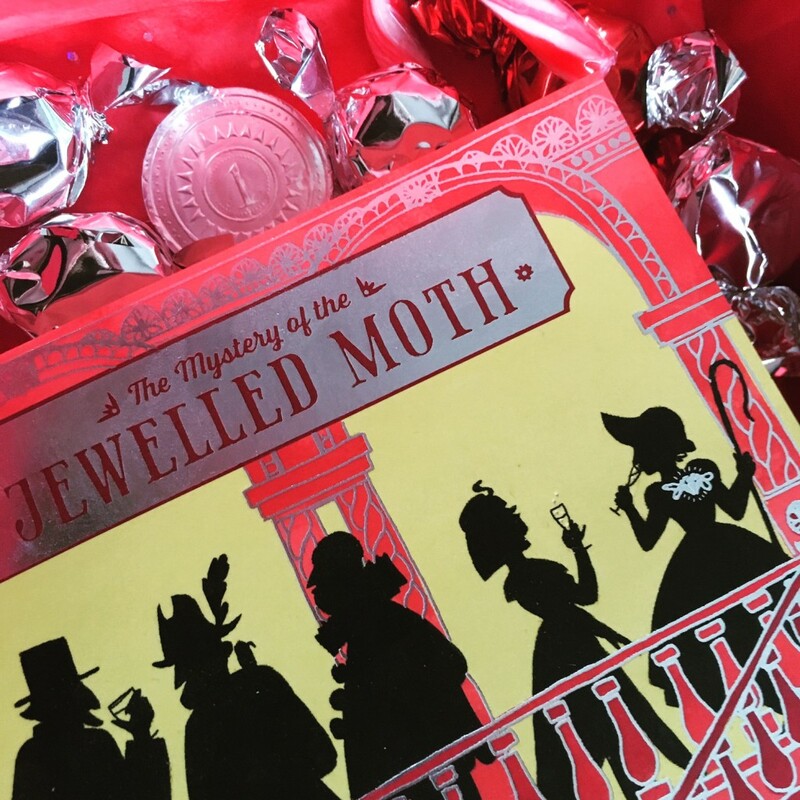 This time round, you can win a signed and dedicated copy of The Mystery of the Jewelled Moth plus a special box of festive goodies that you might find in the store’s confectionery department. 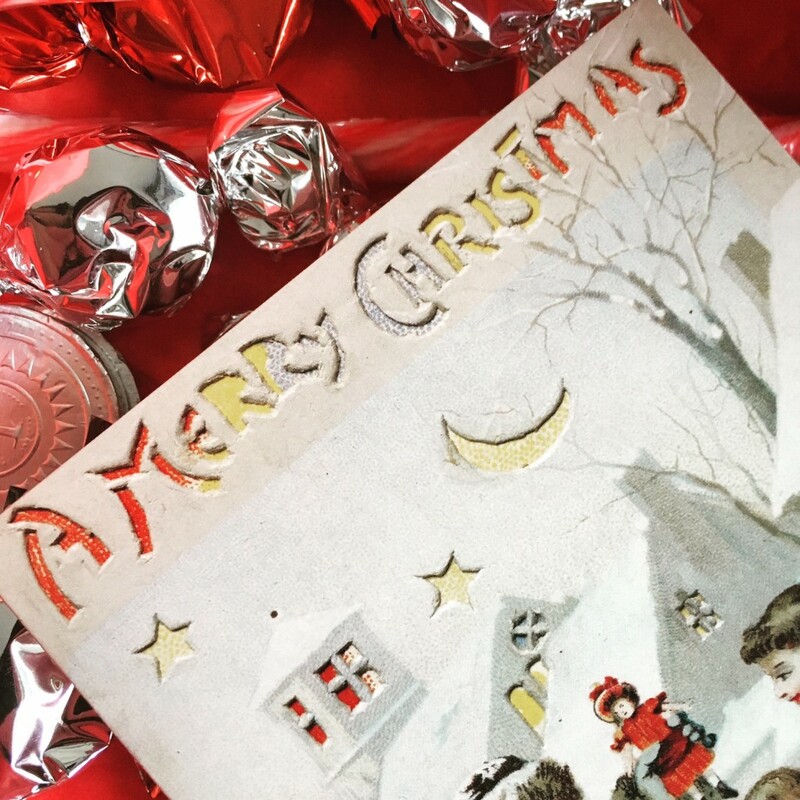 To enter all you have to do is tell me: which of the characters from the Sinclair’s Mysteries would you most like to spend Christmas with, and why? You can leave me a comment below, tweet me, leave me a comment on my author Facebook page, or even leave a comment on my Instagram – it’s up to you! Or if you’d prefer you can also send me an email to enter. Just make sure you send over your entry by 5.00pm on Monday 19 December for the chance to win – I’ll choose my favourite response to win the prize. The competition is open to the UK only. Good luck! The Mystery of the Clockwork Sparrow and The Mystery of the Jewelled (or should I say Jeweled?) Moth have now been published in the USA by Kane Miller Books! Louise and I celebrated the books going Stateside with a trip to Shakeshack for peanut butter and banana frozen custard, fries and peach lemonade. YUM.